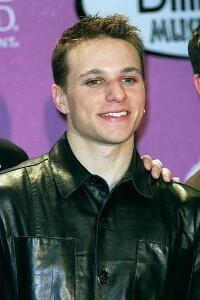 Former boy band member, Dancing with the Stars winner and father Drew Lachey has moved his family out of Hollywood and back to his childhood hometown of Cincinnati, Ohio. He says the transition from Tinseltown to the Midwest has been relatively easy for his family, which includes wife Lea, 4-year old daughter, Isabella, and 3-month old son, Hudson. Lachey tells the news source that Isabella loves the Ohio weather – with snow in the winter and lightning bugs in the summer. While the family calls Cincinnati home, Lachey explained to the magazine that they named their son with another one of their favorite places in mind.